Medical Errors Are the Third Leading Cause of Death in U.S.
Medical errors are the third leading cause of death in the United States, with hundreds of thousands of additional cases of medical errors causing serious patient injuries. Protecting yourself from medical errors first requires understanding why these mistakes happen. While a specialist may know a great deal about the heart or kidneys, a general practitioner dedicates his career to studying how the systems of the body work together. He looks at the whole patient to develop an integrated treatment plan, using medical knowledge as well as his personal understanding of the patient's needs and unique healthcare challenges. From a doctor's perspective, specializing makes sense. Specialists earn higher salaries and often have more favorable working hours than general practitioners. However, when the best and the brightest young people choose to specialize, patients will inevitably suffer from a lack of compassionate, competent primary care providers. There's no doubt that advances in medical technology have saved lives. However, technology is not a substitute for clinical judgement and common sense. Doctors too often rely on lab tests to diagnose patients instead of listening to them about their symptoms and thinking holistically about the cause of a particular problem. 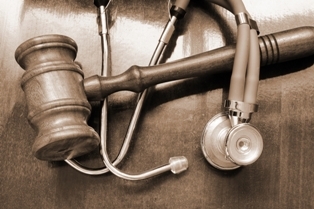 Technology can also lead to medical malpractice claims when proper training isn't provided. For example, Da Vinci robotic surgery has been at the center of several lawsuits alleging hospitals were allowing surgeons to operate on patients without the experience necessary to safely perform procedures. The idea of implementing universal healthcare in the United States continues to be politically controversial, but there is substantial evidence that allowing healthcare facilities and insurance providers to be governed by profit harms patients. For example, prescribing medications and ordering lab tests generates easy income, providing an incentive to avoid discussing more practical preventative measures such as nutritional counseling for diabetic patients or behavioral therapy for people with mental health issues. Doctors shouldn’t be treating patients based on which options have the highest profit margins. Although many of the factors linked to medical malpractice are beyond a patient’s immediate control, learning to advocate for your needs can help keep you safe. Your doctor may have a medical degree, but he’s still a human being capable of making mistakes. Make a list of all medications you are taking, including over-the-counter vitamins and dietary supplements. Verify that any care provider you see is aware of this information. Follow up on the results of any ordered lab tests yourself instead of waiting for the doctor's office to contact you. Don't assume that a failure to hear from the office means there was no problem with your test results. Ask questions about every procedure or treatment your doctor recommends. If you're worried you don't fully understand the information you're being presented, bring a trusted friend or family member with you to get a second perspective. Choose a new doctor by checking the state's medical licensing board to see if he has ever been sued for malpractice or subject to a disciplinary action. You can also search for potential areas of concern by using newspaper databases in communities where the doctor has previously practiced. When medical errors are serious enough to classify as malpractice, patients are entitled to compensation for the harm they have suffered. To learn more about how to protect your rights as a victim of medical malpractice, contact Neblett, Beard & Arsenault today.